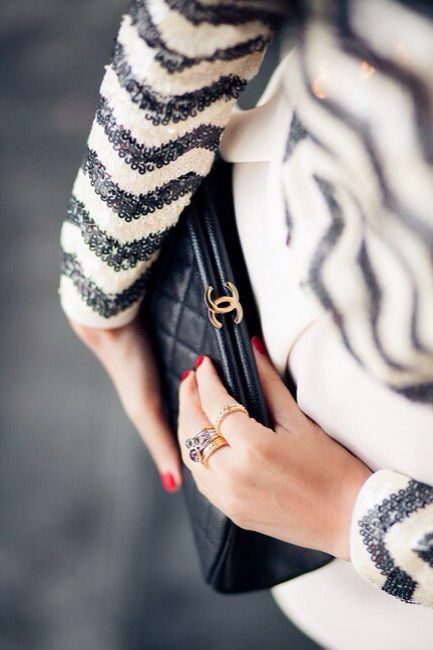 Let's add a little bit of sparkle to our Thursday and enjoy this gorgeous shot of a classic Chanel clutch. I can't decide which I'd love more- that jacket or the purse?!?!? Who are we kidding... definitely the purse.